﻿High school seniors have many questions regarding the college application process. Students may feel confused as to which colleges they should apply to, when to apply, and how to apply. It is even more pronounced for International students who have no prior knowledge or resources to assist them. 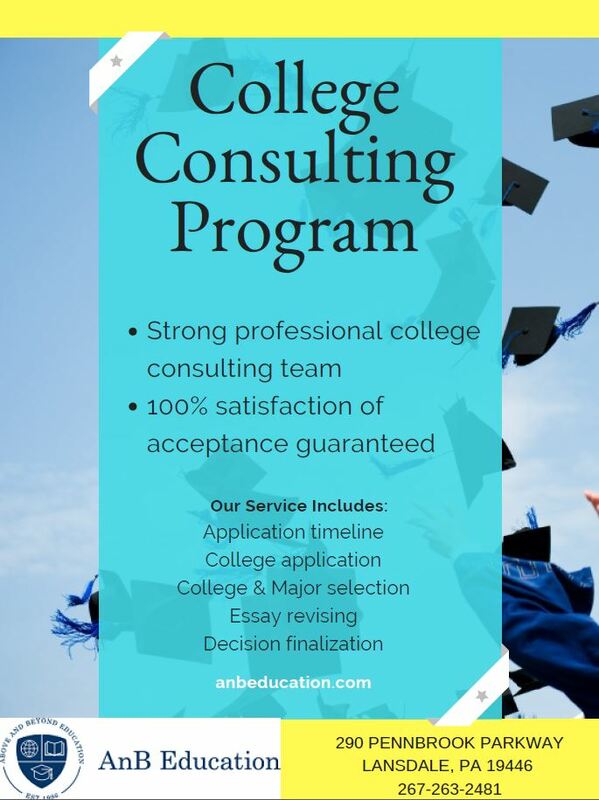 That is why AnB Education offers services for students who are in need of help to complete and submit their college applications. in-depth interview with the students to help them realize their inner potential interests. Assist the student with creating a personal profile and aligns with student’s interests and future major. College essay brainstorming, editing and revising. TOEFL/SAT/IELTS/ACT registration & general guidance. Congratulations to our recent seniors! Happy graduation!